Thank you Green Bay Distillery and your amazing staff for your support and hosting us. We love the venue and look forward to more events there. Thank you to Jeremy of Not Your Ordinary DJ for the rock and the roll! Thank you Green Bay Bike Polo for a great demo and showing us how it’s done! Thank you to our amazing sponsors who donated goods and services to our raffle. I’ve never seen such happy winners! Thank you to our private donors for going above and beyond to help us achieve our goal of becoming a non profit. A big shout out to the GBBC admins who took time out of their busy schedules to bring this event together. This year was amazing! 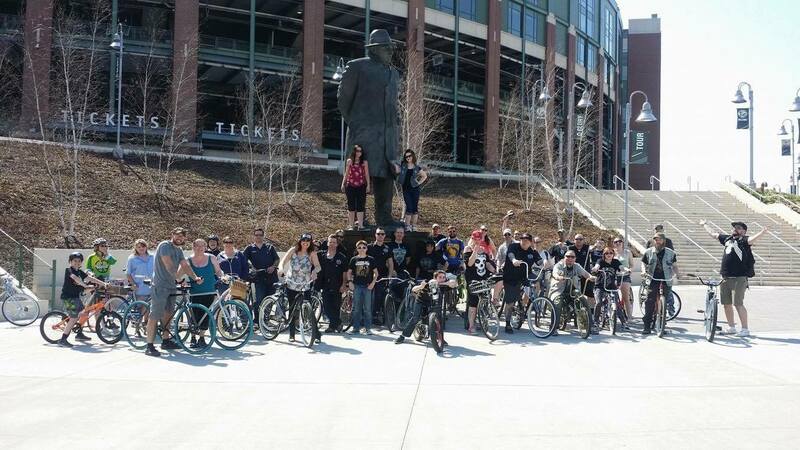 And last, but absolutely not least, a HUGE THANK YOU to all those who came out, had fun, and showed the community what a great bike culture we have. CHEERS!! !